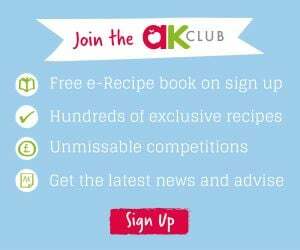 The promotion is only open to UK residents aged 18 or over, excluding employees and their immediate families of Annabel Karmel Ltd, its agents or anyone else professionally connected with the promotion. Entries can be made by following the instructions on the relevant promotional posts on the official Annabel Karmel Facebook or Instagram page. By entering the promotion entrants accept that their comments/photos may be used on Facebook or Instagram by Annabel Karmel during the promotion and will be in full public view. The number and nature of the prize(s) available to be won will be detailed in each new promotional post. No one person may win more than one prize throughout the duration of each promotion. Each day the number of prizes will increase from the first day where 1 prize will be given away to the 12th day when 12 prizes will be given away. To make a valid entry to the Competition, you must follow the instructions on each promotional post for the 12 days of Christmas. The competition closes at 23:59 on Saturday 6th January 2018 and any entries must be submitted prior to that time. The winner will be selected at random from the valid entries and contacted directly through Instagram by 5pm on Wednesday 10th January 2018. If the winner does not respond to claim their prize within 14 working days the prize will be automatically reallocated to a new winner chosen at random.